As a public service for readers who are planning to enter college soon, here’s a list of the 25 top-paying majors. If you want to make a lot of money, it turns out your choices are pretty simple. You can major in business and roll the dice on becoming a top trader/rainmaker on Wall Street, or you can just buckle down and major in some kind of engineering. 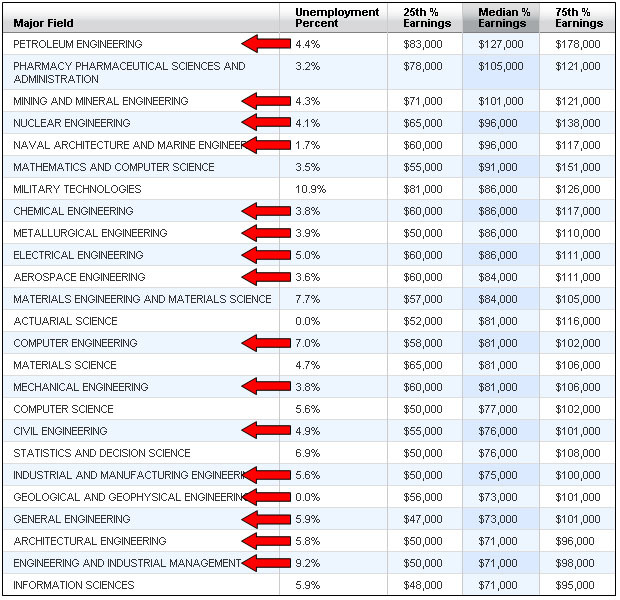 It doesn’t matter much what it is, though petroleum engineering is surprisingly lucrative. And be sure to stay away from being a high school guidance counselor. The full sortable list is here.